With our devices being able to store a lot of our data, there is always a danger involved. Device information is always prone to accidental loss or deletion which is a painful event. The good news though is that if you encounter accidental loss of device data, there is an array of solutions to help in data recovery. One of the popular data recovery software available is EaseUS MobiSaver. This iPhone data recovery tool is simple to use and there is a free version provided. But even with its advantages, it has also its own set of disadvantages that often push you to consider some alternatives. For instance, you may encounter difficulties when the app trying to recognize your iPhone and also you may not succeed in recovering lost data. So, here we're going to provide top 7 EaseUS iPhone Data Recovery alternatives to recover lost or deleted data from iPhone, iPod and iPad efficiently. Frankly speaking, Joyoshare iPhone Data Recovery program is often the most preferred among all EaseUS MobiSaver iPhone Data Recovery alternatives available. 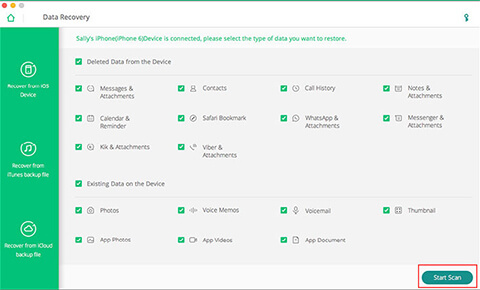 Looking at what the program has to offer, you will understand why it is a top pick for those who want to recover their lost iPhone data. 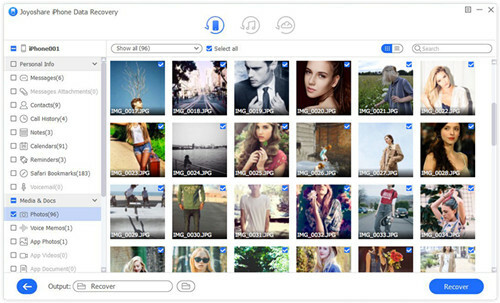 Joyoshare iPhone Data Recovery offers three modes for recovering data from iTunes backup, iCloud, or iOS devices and thus you can choose any of the option provided. 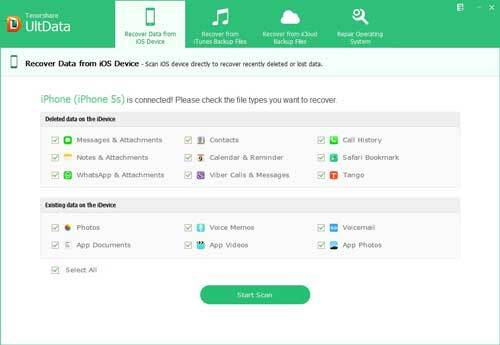 As well, Joyoshare iPhone Data Recovery allows you to be able to retrieve lost data of different types from iPhone, iPad and iPod touch. The different types of lost data that you can retrieve include call history, contact information, notes, videos, photos, and many more. For iPhone or iPad, some third-party app data such as WhatsApp, Viber, Kik and all Safari bookmarks are also able to be restored or recovered. Furthermore, the user-friendly interface makes it easy to operate for all people, even those who never used it before. iMyFone D-Back is well-known as another good alternative to EaseUS MobiSaver iPhone Data Recovery. 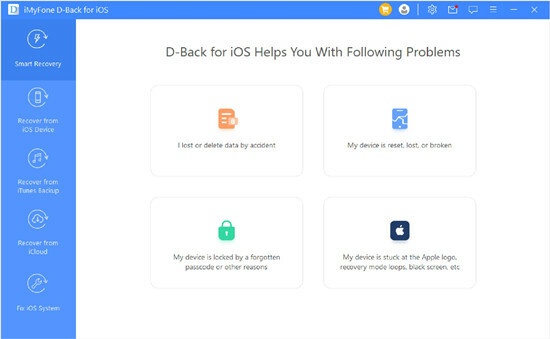 iMyFone D-Back has a free trial version available and as a result, you can try it out before deciding to make a purchase. You must note though the trial version features are limited in functionality. Additionally, this program has some distinct features which EaseUS MobiSaver does not have. The program is able to retrieve non-stream IM apps including Kik and WeChat. 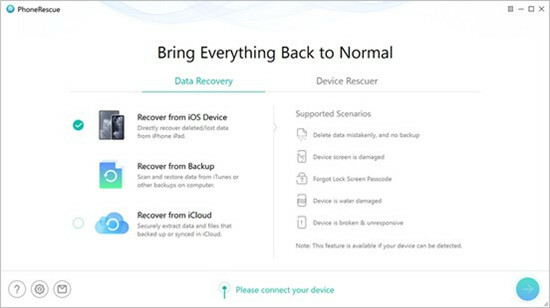 iMyFone D-Back also has a Smart Recovery mode that makes it easier for you to recover lost data even if you are not a pro in technology. iSkysoft iPhone Data Recovery tool is also known to function greatly like other top EaseUS MobiSaver iPhone Data Recovery alternatives. iSkysoft iPhone Data Recovery software is able to retrieve lost data files of more than 20 different types. The program can be used on almost all iOS platforms. One of the areas that iSkySoft data recovery software is really good at is in the retrieval of lost call history of iPhone. In addition, the data recovery program provides 3 different methods of data recovery. These modes of data recovery are by means of an iOS device, iTunes or iCloud backup. Among the available EaseUS iPhone Data Recovery alternatives, iMobie PhoneRescue is really a realistic program. Using this data retrieval tool, it becomes possible to recover different types of lost data from almost all iOS operating systems. 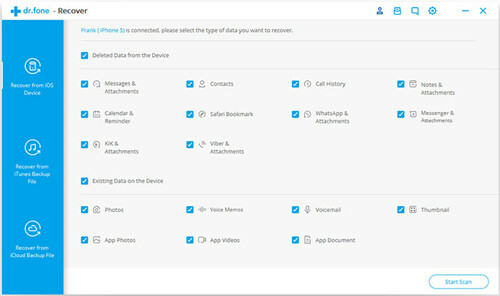 iMobie PhoneRescue is able to recover lost data of about 22 different types including bookmarks, videos, messages, contacts, and photos. What is more, the program has an operating interface that is simple and easy to use and allows for the scanning of missing information of a device. The possibility of scanning for missing information enables a user to choose the data to be actually recovered. iMobie PhoneRescue also is able to restore iPhone in the case that the operating system has crashed because of software issue. The next alternative to EaseUS iPhone Data Recovery introduced here is Wondershare Dr.Fone iOS Data Recovery program. The recovery tests that have been performed using this data recovery tool imply that its recovery rates are among the highest among the tools available. The recovery rate of the data recovery software definitely is one of the many factors that consumers usually have to consider. Because of that, this software offers good value to consumers. The software is able to recover various types of lost data regardless of the cause of data loss. Furthermore, because of its preview feature, it is possible to customize recovered data. Tenorshare UltData iPhone Data Recovery sits very comfortably among the top EaseUS MobiSaver iPhone Data Recovery alternatives. With the program, you can recover lost data of different types of up to 20 without backups. It does not matter the cause of the lost data. The data recovery program also provides three methods of recovering data which are from an iOS device, iTunes or iCloud backup. In addition, Tenorshare iPhone Data Recovery supports contacts, messages, and notes sync directly to your iPhone. It is possible with the program to restore iTunes backup files to your computer. 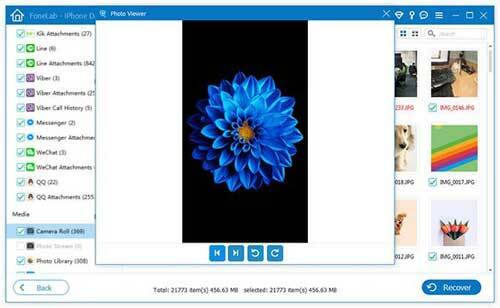 Among the popular alternatives to EaseUS iPhone Data Recovery, Aiseesoft FoneLab is also an impressive program. It has high rates of lost data recovery apart from being easy to use because of its user-friendly interface. Using Aiseesoft FoneLab, you are able to restore up to 19 data files of different types. The program is also compatible for use across the different Apple product ranges. The program also has incorporated the use of preview function. With this function, you are able to restore only lost data that you need. Therefore, your device is able to have additional storage space. In conclusion, provided here are only 7 of the top EaseUS iPhone Data Recovery alternatives. There are also other great products available on the market. All of the programs that have been described above will help you retrieve different types of lost iPhone data at a price that is reasonable, which is especially if you choose Joyoshare iPhone Data Recovery program. Hopefully, the information provided here enables you to pick the right tool for your iPhone data recovery needs.